Although I have lived and worked in London all my life, I’ve never really had the opportunity to be a tourist in my own city. And by that I mean, stay over and mooch in the capital without actually having to be at a certain venue for a specific engagement. Likewise, I can’t even remember the last time I’ve stayed over in a London hotel just for the fun of it. My mum has only recently turned 60, and to mark this special birthday, my sister and I wanted to do something just the three of us – so when she told us she wanted to see the new Picasso exhibition at the Tate Modern, we agreed it would be extra special if we could make a night of it. But it couldn’t just be any hotel. 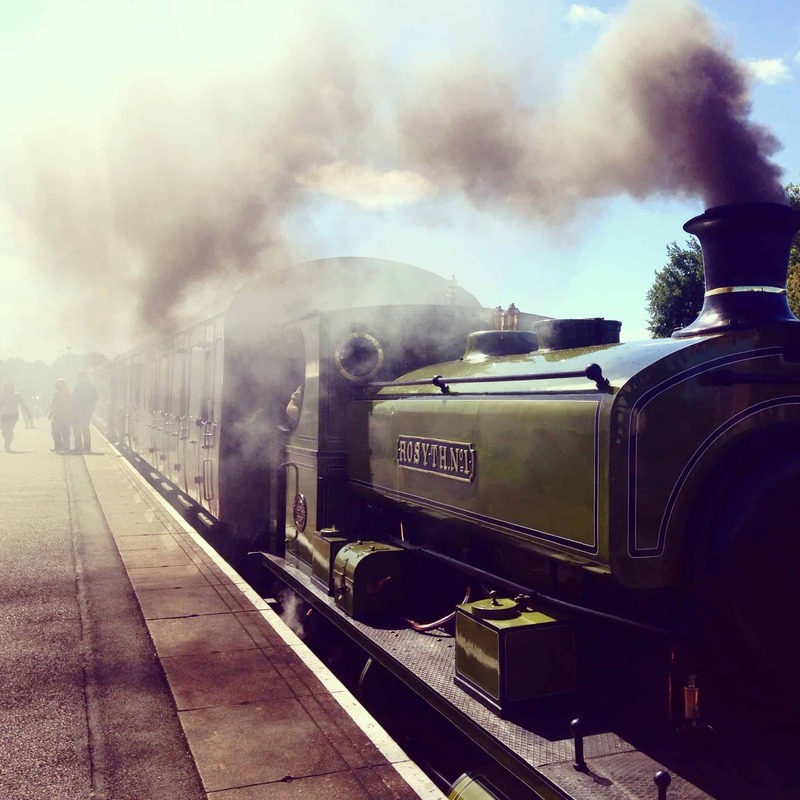 It had to be accommodation both established, elegant and oozing in class – much like my mother. 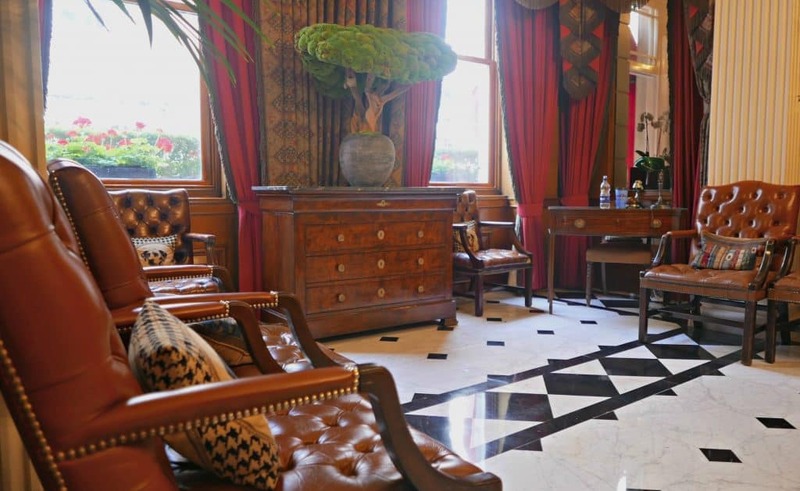 The Chesterfield Mayfair – part of the Red Carnation Hotels Group – seemed to fit the bill. The fact the Chesterfield Mayfair is ranked no. 7 out of all 1,085 London hotels on Tripadvisor and has won several awards for its accommodation and service, merits high expectations. And for such a special occasion, it felt like the right choice. When we walked through into the grand reception area, we were greeted straight away by guest relations manager Letitia, who was warm and welcoming. 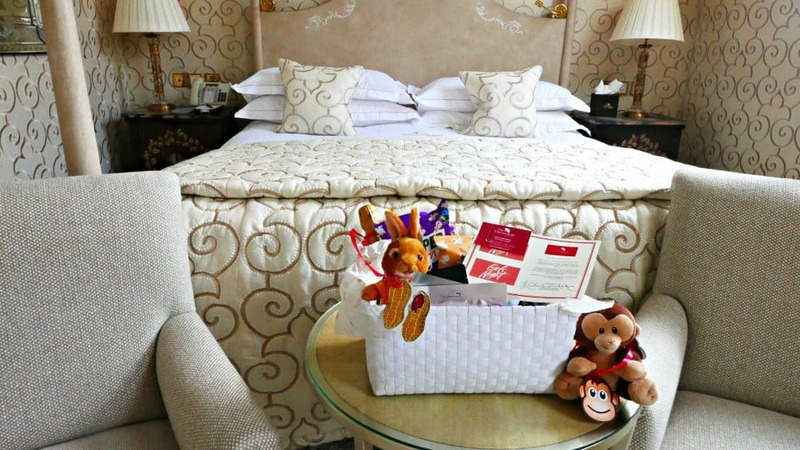 She informed us that because it was such a momentous occasion, she had taken the liberty of upgrading our room to an Executive Suite and, not only that, she had also left us a little gift in the room so we could enjoy a pampering session together. From this moment, we already got the sense that we were going to have a magnificent time. 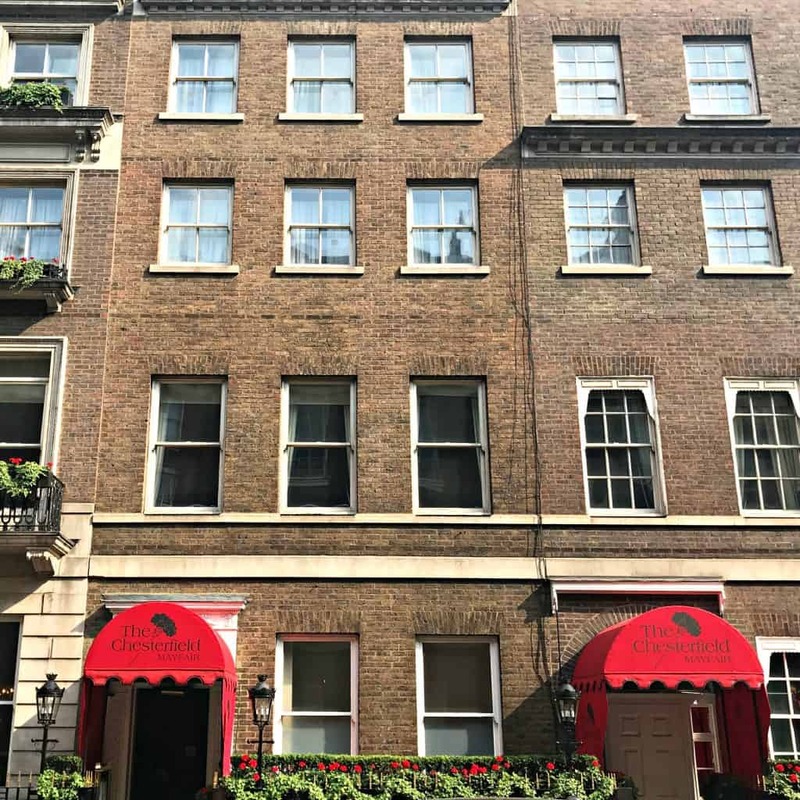 Just off Berkley Square and tucked away in one of my favourite London spots, Shepherds Market, the Chesterfield Mayfair is ideally positioned to visit many of the city’s famous landmarks with Buckingham Palace, Knightsbridge and Hyde Park are close by. Meanwhile, Green Park underground station is only a five-minute walk from the hotel, which means you can easily travel across London in no time. Even though there are 94 deluxe rooms and 13 suites, the Chesterfield Mayfair doesn’t come across as a large, soulless establishment. 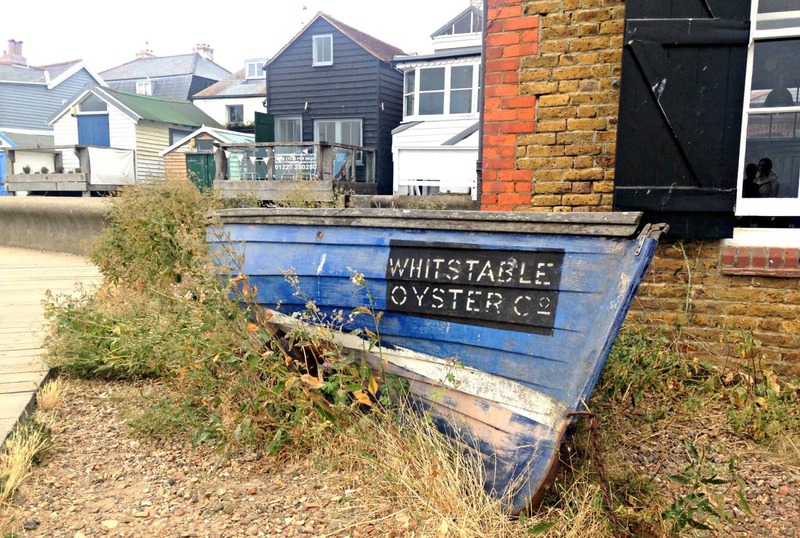 It exudes a relaxed and informal atmosphere – a place you can hang out and relax. We were blown away by our Executive Suite – which had a separate lounge area. Recently redecorated, the room’s interiors are bright and comfortable with furnishings that are traditional in style but not old-fashioned – and with a room safe, complimentary wi-fi as well as the much-needed aircon the room was by no means lacking in mod cons. The king-sized bed with four posters is a statement piece in itself, while I had never before felt padded wall coverings before, which was clearly well-crafted, as were the electric blinds that effortlessly blocked out the sunshine outside. The lounge area also had a flatscreen TV, as well as a place to sit and dine should you so wish, or enjoy the snacks, minibar and coffee on offer. 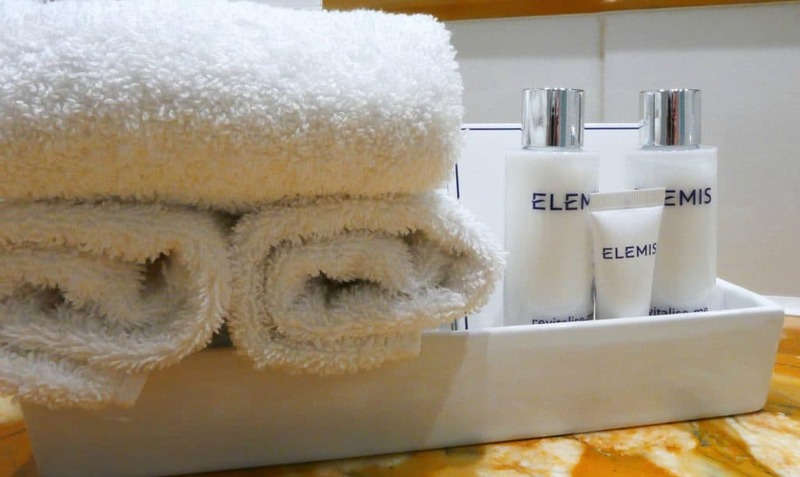 Fragrant Elemis toiletries adorned the good-sized gleaming bathroom which has a large tub and a separate show cubicle. I was rather amazed by the mirrored ceiling, which did give the illusion of more space and light. Meanwhile, our pamper gift from Letitia was so thoughtful, we were all taken by surprise. She had provided us with champagne, snacks, facemasks and bubble baths, as well as a homemade candle she made herself. And she didn’t even forget the children, adding some soft toys for me to take home to them. After returning from dinner, we were delighted to be left lavender mist sprays on our pillows after the turndown service – which contributed to us winding down for the evening in our white fluffy bathrobes. We really did get the opportunity to relax in this comfortable space, even catching a flick on the TV while laughing at each other’s facemasks! 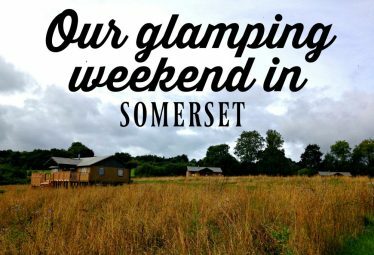 After dropping off, we all woke refreshed and even managed a small lie-in, for which my sister and I were truly grateful for. Do head over to My Travel Monkey’s Instagram Stories highlights if you’d like to see more of the room – as I take viewers on a tour. Before eating dinner, we headed to the Terrace Bar. Unfortunately, due to a private function, we were unable to sit and enjoy the dappled sunlight in the Orangerie but found ourselves a comfortable corner to sip a few drinks. 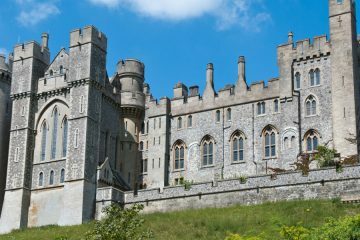 The gin and tonic experience caught my eye – where a guest is taken on a delectable journey with a mixologist, but you have to book this special tasting in advance. No matter, that didn’t stop us from ordering different gin cocktails – and I went for the delicious and refreshing Martin Miller’s and tonic with strawberry and crushed pepper. And during our sitting of three drinks and a jazz pianist playing some tunes, we were brought countless snacks and canapes including a totally scrumptious cheese on toast. I was already feeling full and we hadn’t even had our meal. What struck me though, was the faultless service we received from bartenders – they made sure we were enjoying ourselves without being overly attentive – which can drive me to distraction – and after a good few hours, we decided we’d better get ready for dinner. Although there are plenty of good eateries nearby to the Chesterfield Mayfair, we really wanted to experience the hotel’s renowned Butlers Restuarant which is famed for making ‘the best Dover sole in London.’ With executive chef Nathan Hindmarsh at the helm, the extensive menu offers classic dishes such as roast chicken and steaks and offers both À La Carte and pre-theatre dinner, as well. 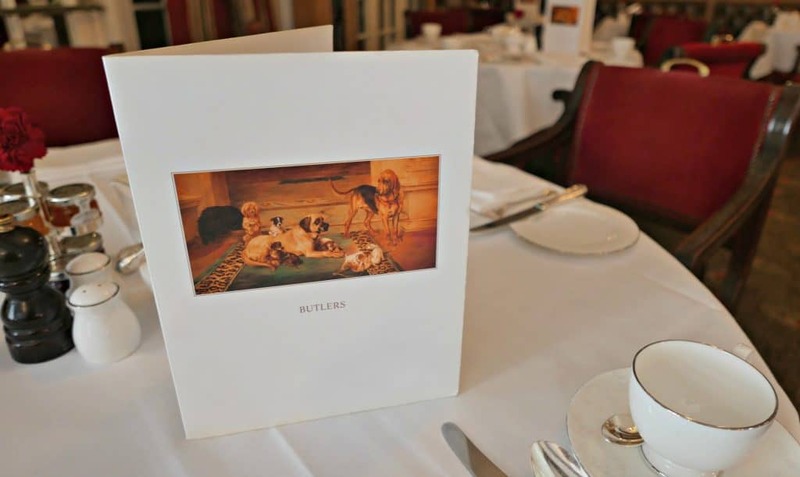 Entering Butlers is like stepping back in time to a bygone era – there are opulent red window dressings and chairs, and crisp white linen tablecloths and spacious tables in which to enjoy your meal. We spent some time choosing our dishes, as there were so many that sounded enticing. Eventually, I opted for the glazed lobster omelette in a Thermidor sauce and traditional fish and chips. The lobster omelette served in a skillet was so rich and decadent, while my main meal came with gherkins, triple cooked chips as well as rich gravy and curry sauce. I loved every mouthful but for once I was beaten, so full after all the treats I had been nibbling on all afternoon. My sister and mum were equally impressed with their dinners, and to top off a lovely evening, the staff brought a birthday cake out for the birthday girl, as well as a card signed by all the dining team. It was such a thoughtful gesture and we were all touched. Breakfast in the morning saw us enjoy both a continental selection as well as a cooked breakfast menu including eggs benedict and the full works. Like the previous night, our food was excellent and it was with interest how I observed many guests laughing and joking and enjoying their first meal of the day. Clearly, the Chesterfield Mayfair has happy customers. While there are so many hotels that are modern and stylish and those that are perhaps a little too twee or extravagant for my tastes, the Chesterfield Mayfair manages to expertly combine the archetypal essence of Britishness with a contemporary flair. 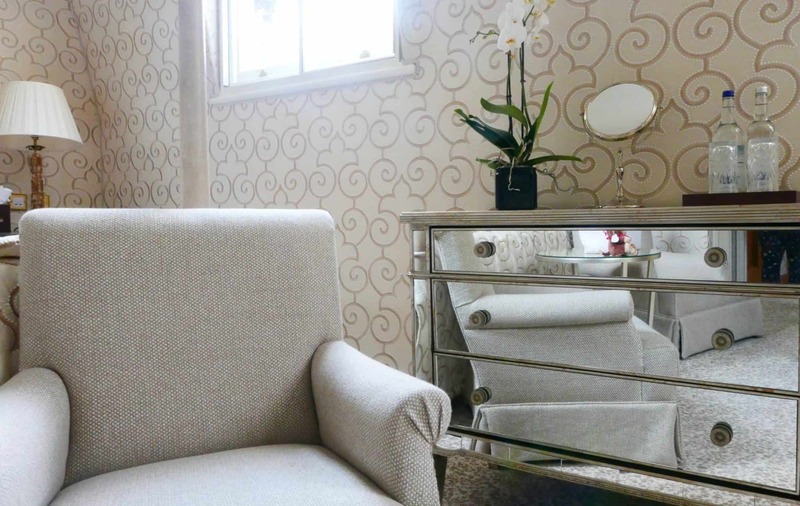 There is no chintz or lace net curtains – however, there is a strong emphasis on tradition and impeccable service. The staff were not only friendly and helpful, but you really got the sense that they enjoy doing what they do – and want to make sure that every guest is made to feel special. 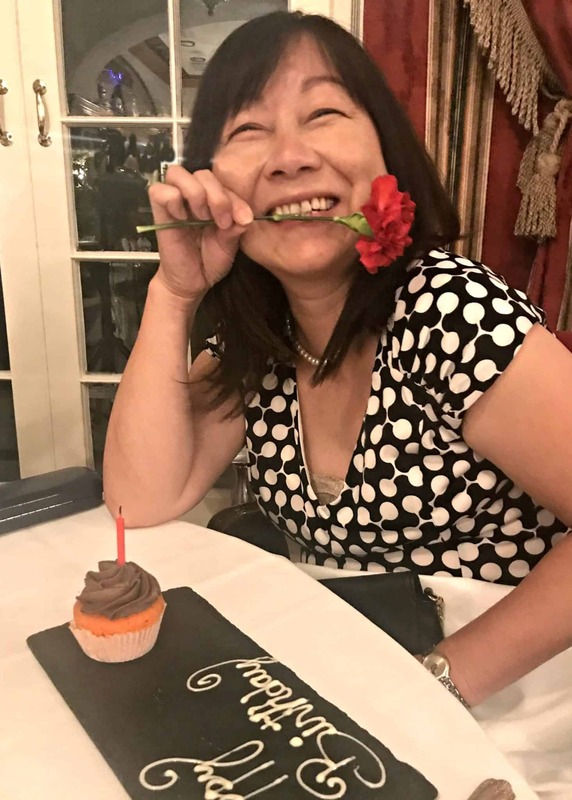 It was the extra touches, such as the pamper treats and birthday card, that made my mum feel thoroughly spoiled and we all left feeling like we had truly experienced a luxurious getaway in the heart of London. The Chesterfield Mayfair isn’t cheap but when you compare how much London hotels cost overall, double rooms costing from £200 per night including breakfast means the Chesterfield Mayfair has competitive prices – and you are guaranteed high standards from the fixtures and fittings to the food, I really can’t fault our stay. The only question is: when can we go back? 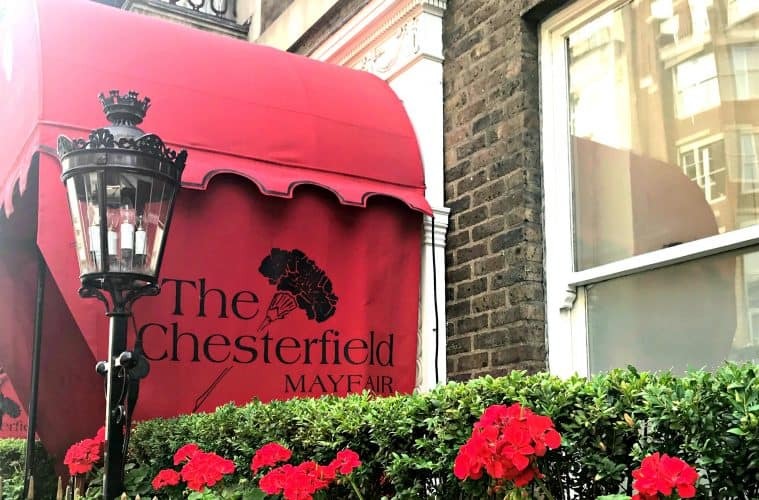 * We received a complimentary stay at the Chesterfield Mayfair hotel, but as always my thoughts and opinions are my own. We walked past this hotel on a recent walking tour and loved tje look! I can see the inside is as nice as the outside. Definitely one for the list! 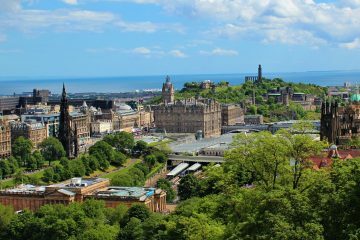 Wow – it sounds like you received fabulous service during your stay – those personal touches from the Guest Relations Manager really were above and beyond what you’d expect, even from a well-renowned place like that. It sounds like you all had a really special time together – a birthday to remember for sure.